Aboriginal people practice deep listening, an almost spiritual skill, based on respect. ‘Dadirri’ is an Aboriginal word meaning ‘inner deep listening and quiet still awareness and waiting’. The name was researched and recommended by a member of the original Board of Directors when a decision was made to change the name of the organisation from the ‘Kerever Park Projects’. An approach was made and approval granted by an Aboriginal Elder in Sydney to apply the word as the new name. In 2015 the official name was again adjusted to ‘Dadirri Disability Services’ as a better reflection of the broader range of support and services the organisation is planning to roll-out in coming years. The organisation is honoured to have received the generous permission of Miriam Rose Ungunmerr-Baumann AM to include the attached explanation of ‘Dadirri’. 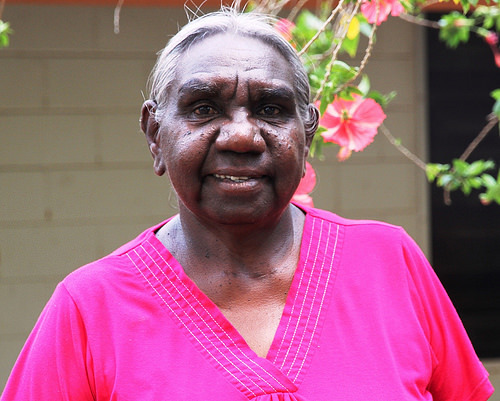 According to Miriam Rose: The word, concept and spiritual practice that is Dadirri is from the Ngan’gikurunggurr and Ngen’giwumirri languages of the Aboriginal peoples of the Daly River region (Northern Territory, Australia). Click here for more information on Miriam Rose.